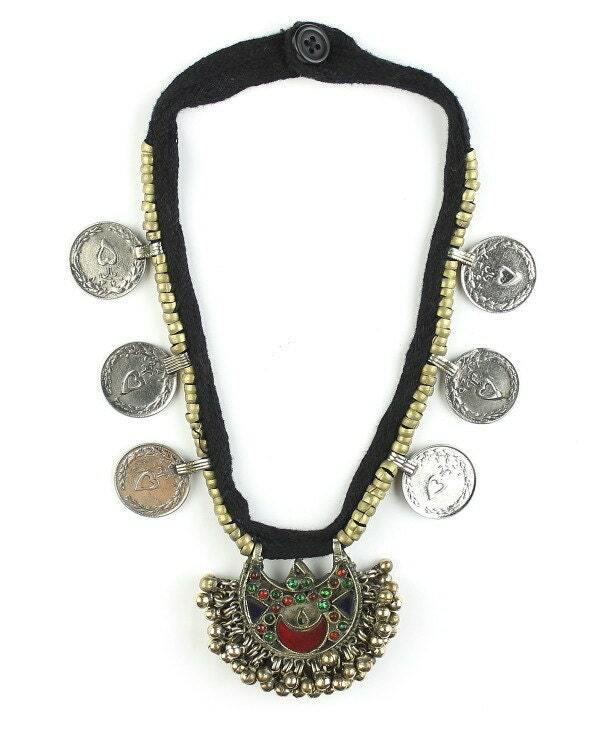 The black fabric of this choker is adorned in a string of brass beads. 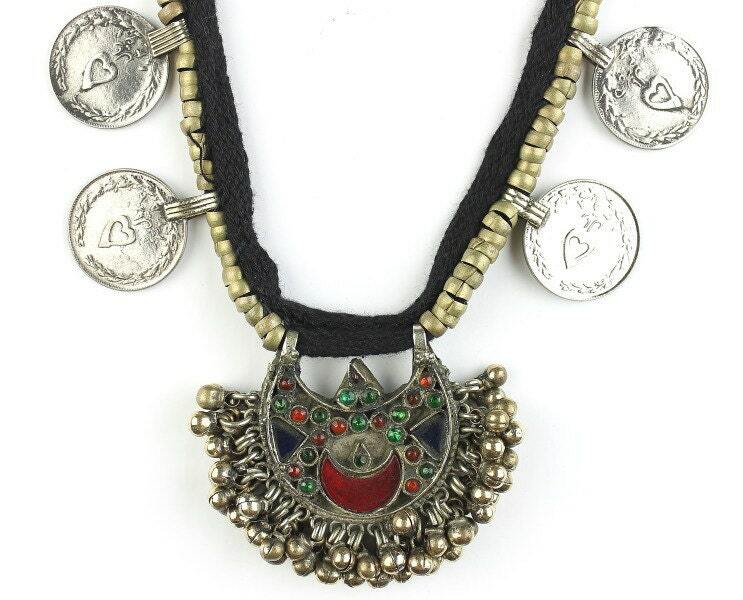 Six silver middle eastern coins hang with a beautiful centerpiece pendant. Pendant has colorful glass inlay, completed with rows of dangling bells. Necklace has a button hole closure.